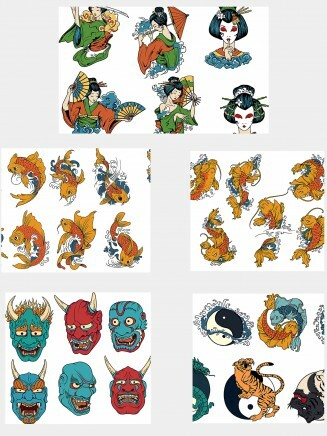 Set of vectors with Japanese decorative elements , such as:Japanese masks, geisha, koi fishes, yin yang and others , for your illustrations and Japanese designs. File format: .eps, .ai for CorelDraw Adobe Illustrator, Photoshop or other vector software. Tags: decorative elements, free vector, geisha, Japan, japanese, mask, symbols.